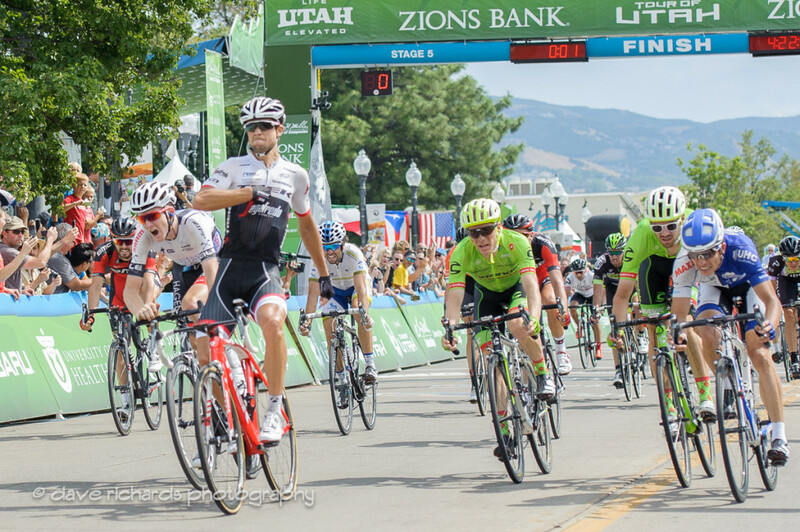 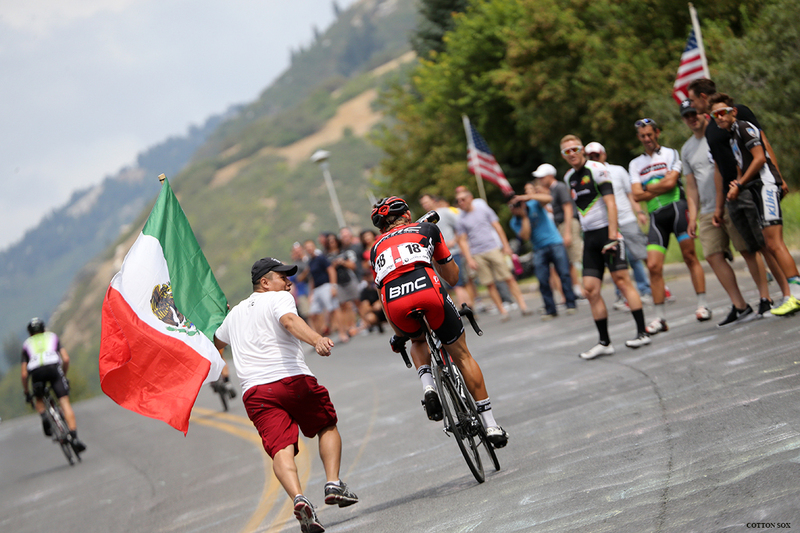 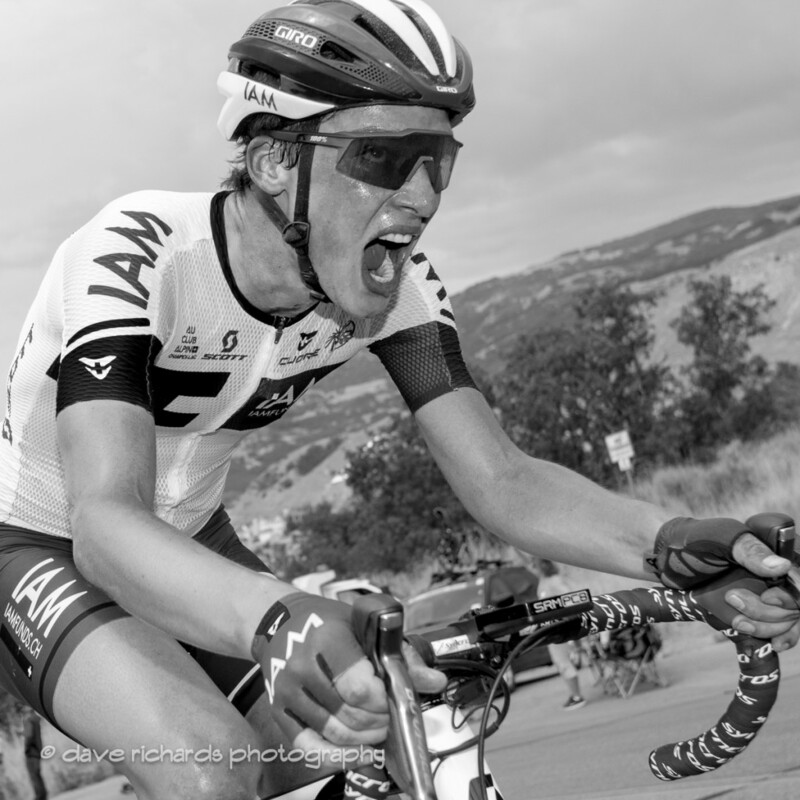 August 5, 2016 – Bountiful, Utah – American Kiel Reijnen of Trek-Segafredo climbed on the top step of the podium on Stage 5 presented by Zions Bank at the Larry H. Miller Tour of Utah. 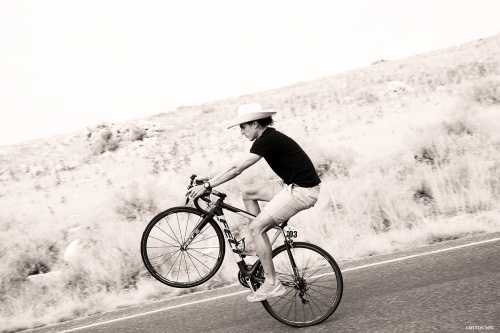 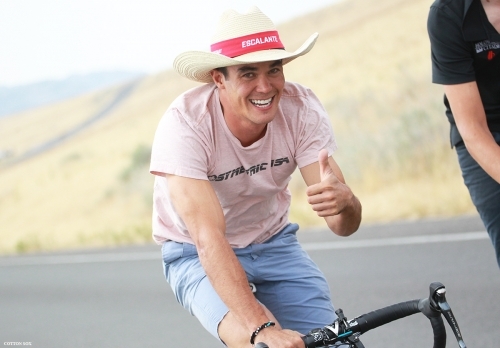 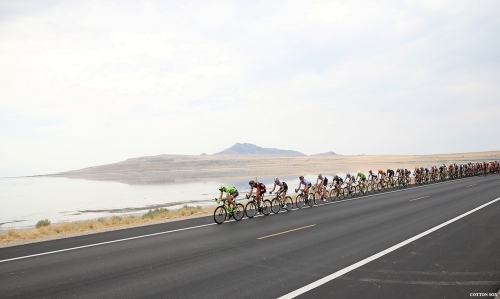 Reijnen accelerated away from a select group of riders to claim a second stage victory in Utah in two years, in a time of four hours and 22 seconds. 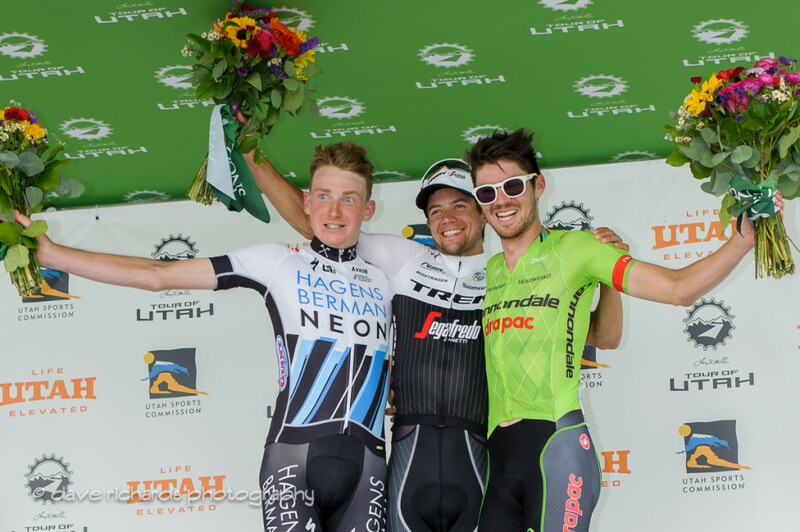 Tao Geoghegan Hart (Great Britain) was second and American Alex Howes (Cannondale-Drapac Pro Cycling) was third, both with the same time as Reijnen. Overall race leader Lachlan Morton (Australia) of Jelly Belly presented by MAXXIS finished 26th on the 115.6-mile stage and retained the Larry H. Miller Dealerships Overall Race Leader jersey. 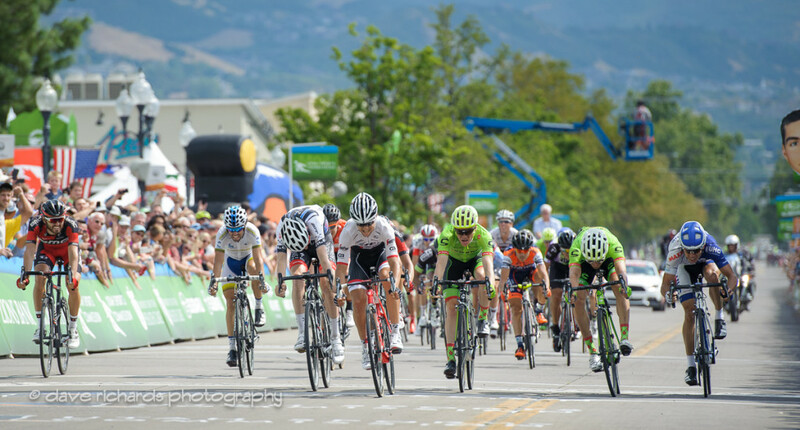 Fourth in Stage 5, Andrew Talansky (USA) of Cannondale-Drapac Pro Cycling moved up to second place overall, nine seconds down. 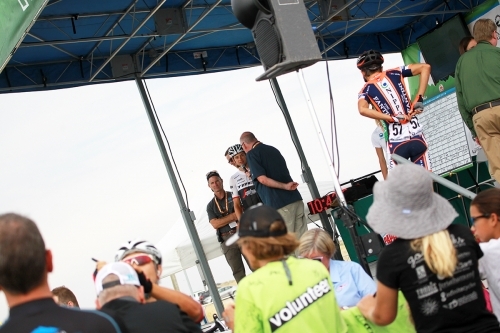 American Adrien Costa of Axeon Hagens Berman dropped to third place and retained the Subaru Best Young Rider jersey. 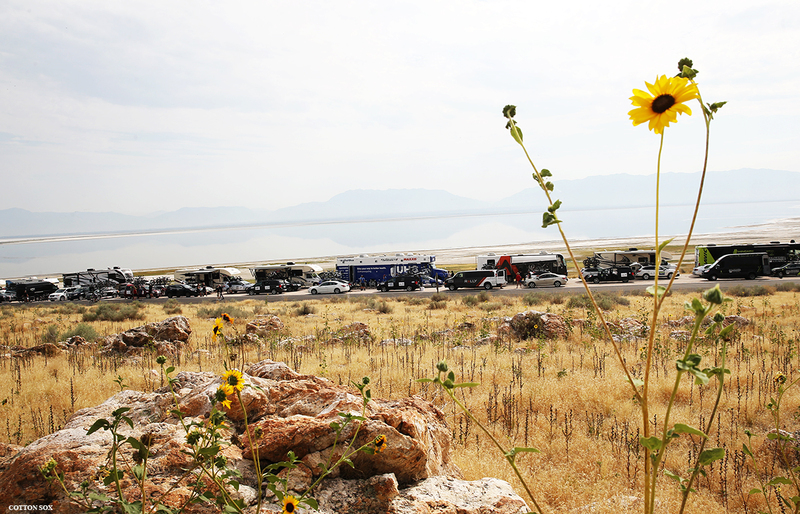 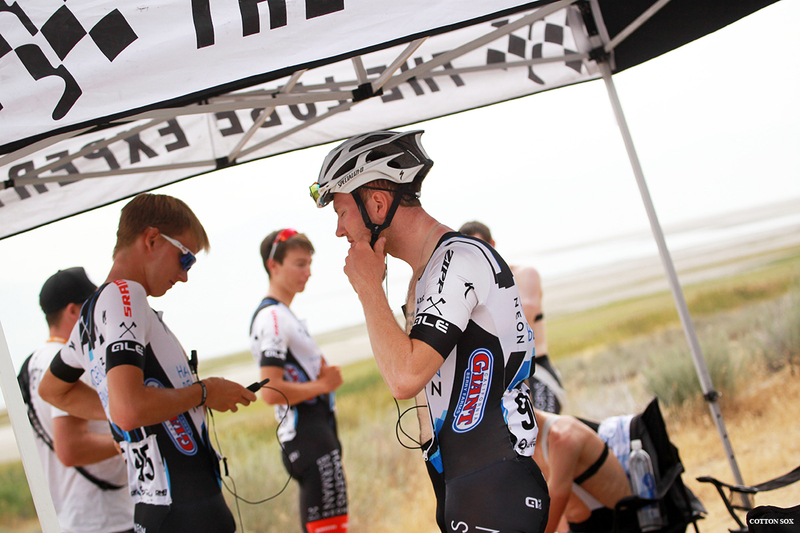 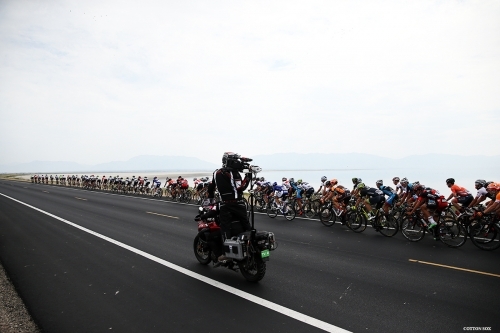 Stage 5 presented by Zions Bank started at Antelope Island State Park, which sits on the largest island in the Great Salt Lake. A break of 11 riders escaped early in the stage, as the riders looped around part of the island before crossing the seven-mile causeway to the mainland. Working well together, the escapees extended their lead to a maximum of five minutes. 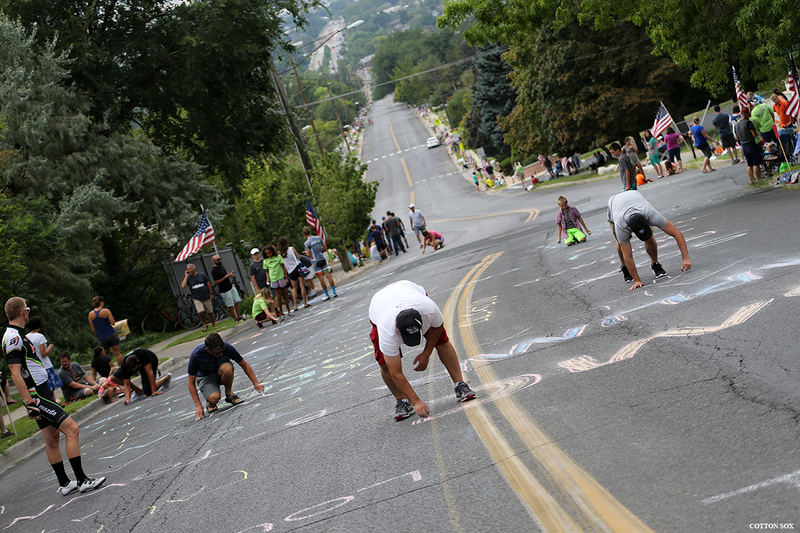 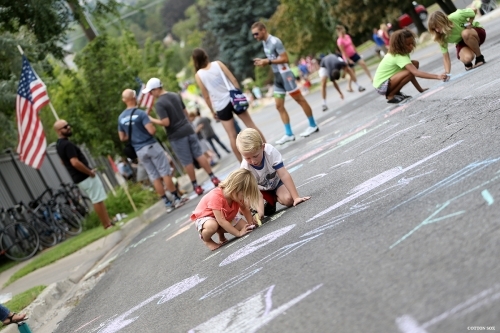 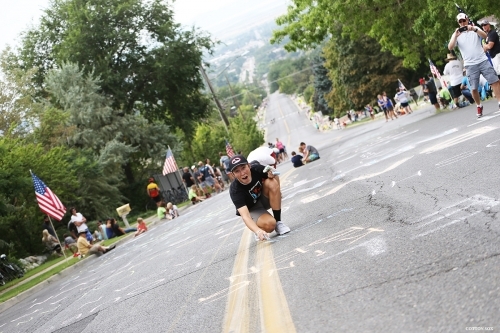 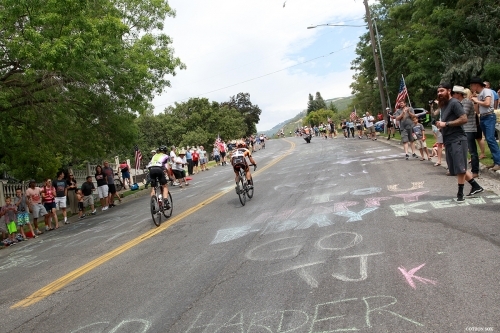 Challenges included two Utah Sports Commission Sprint lines in Hooper and Eden, two Utah Office of Tourism King of the Mountain climbs at North Ogden Divide and Trappers Loop. 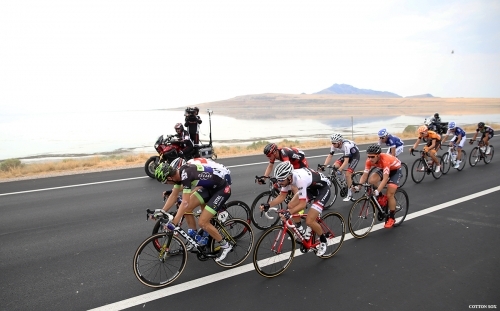 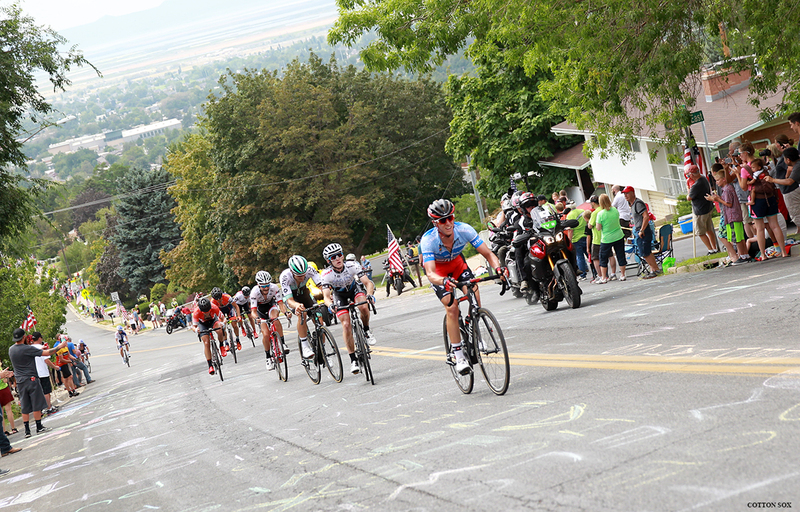 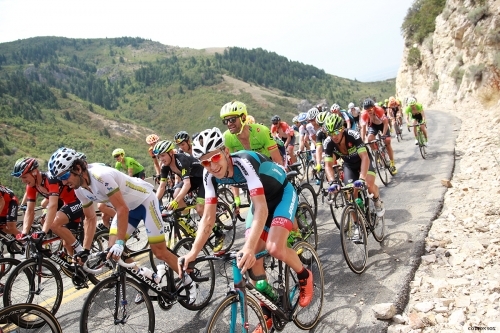 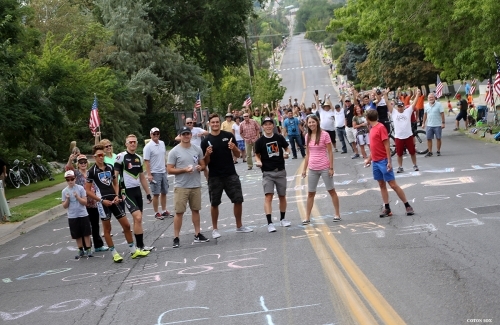 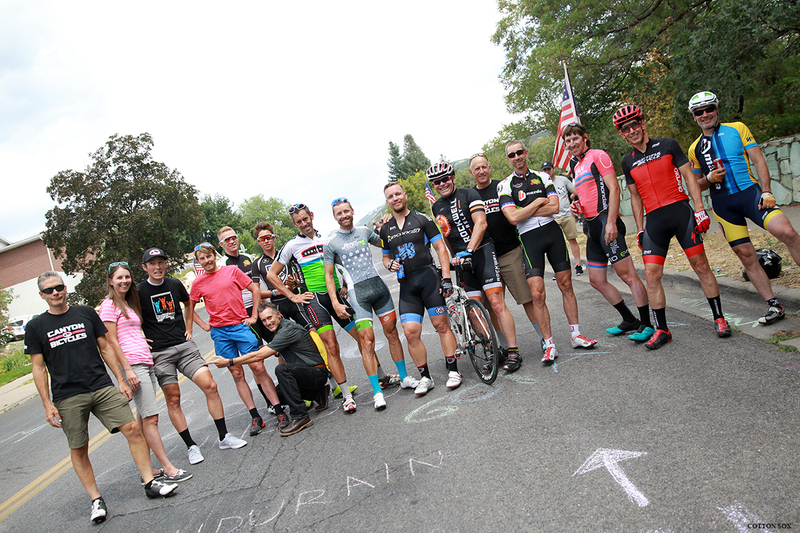 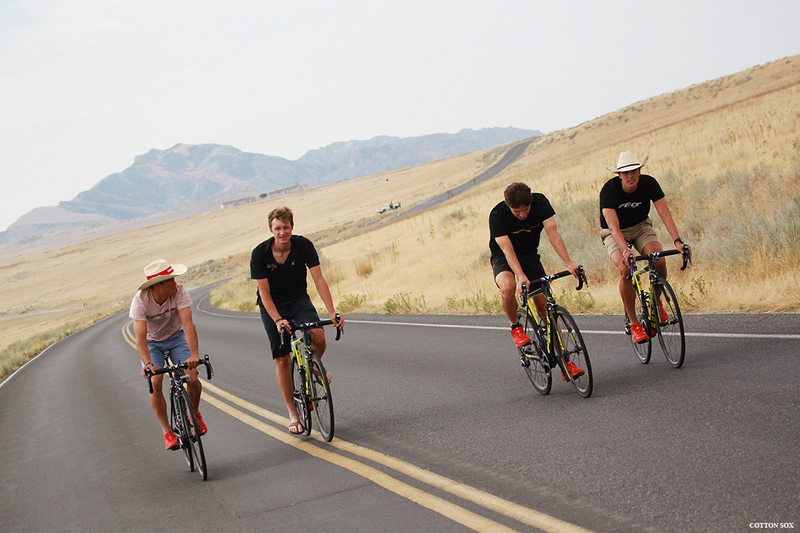 Reijnen, Geoghegan Hart and Howes were part of a select group of 30 riders that chased down the last remaining riders of the break on the nine-mile circuits in Bountiful. 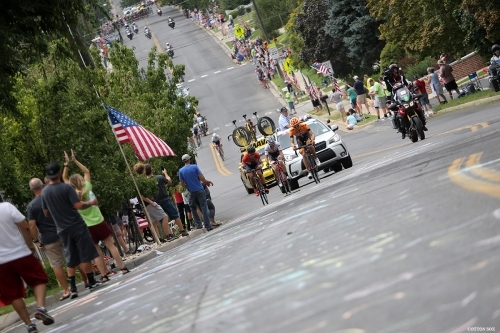 Attacks flew as the riders sped around the technical loop which was lined with 4,000 American flags, distributed by the Boy Scouts of America. 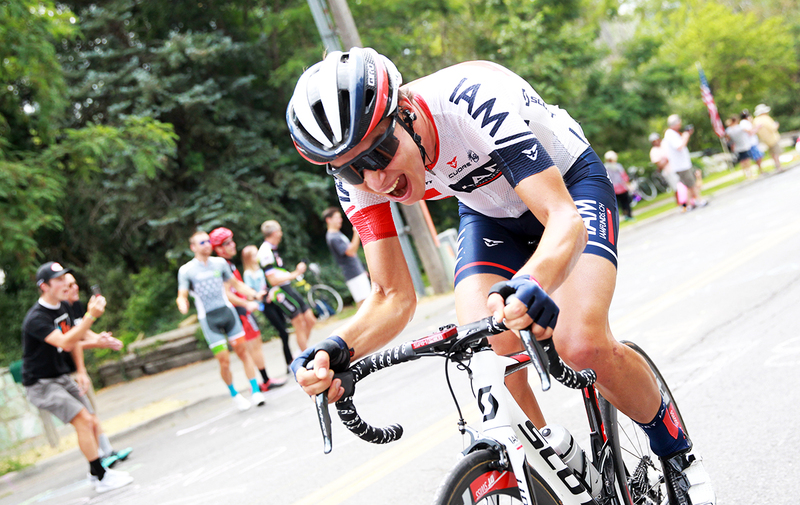 Ultimately, Reijnen was able to overtake a sprinting Geoghegan Hart in the final meters for the victory. 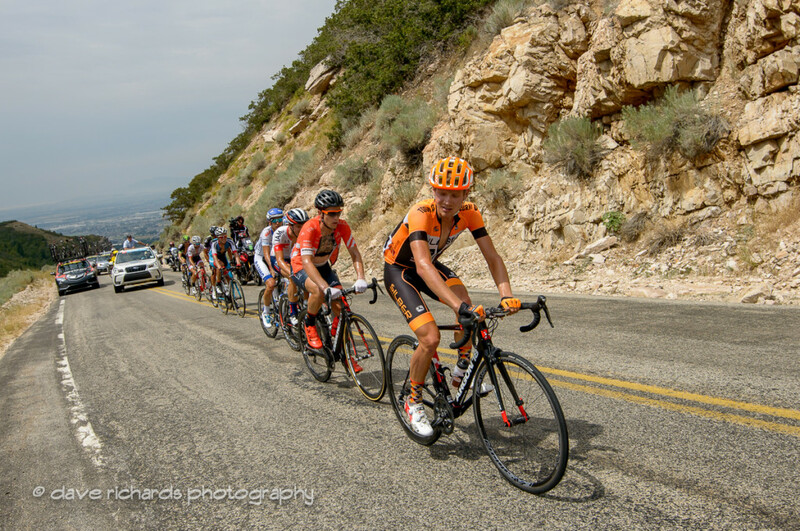 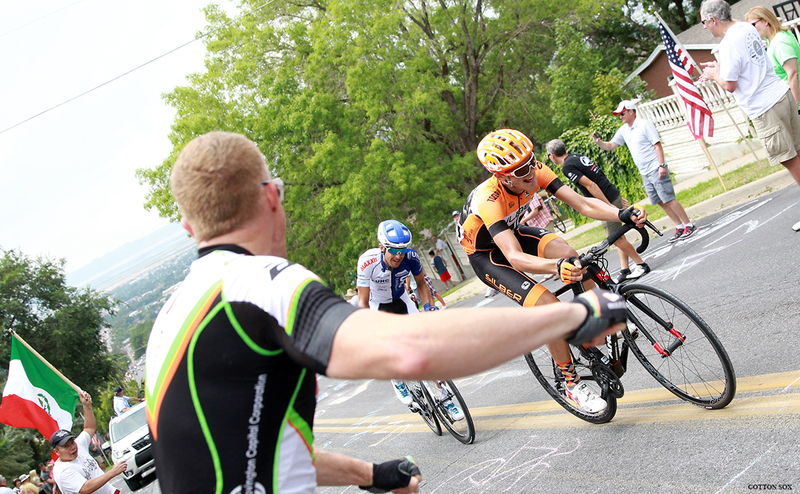 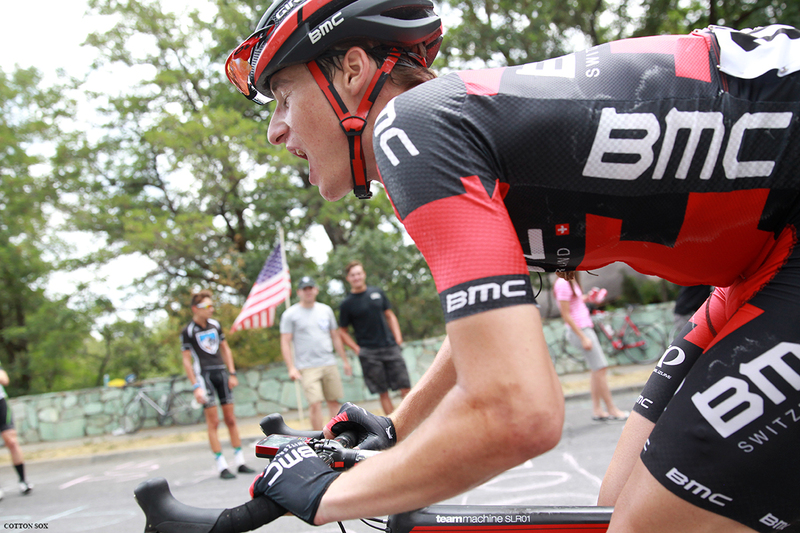 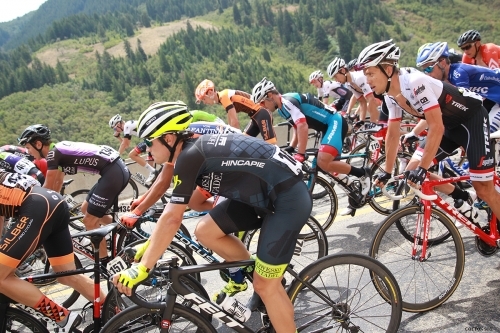 For the Utah riders in the race, Taylor “T.J.” Eisenhart of the BMC Racing Team remained seventh overall on General Classification and Robbie Squire of Holowesko | Citadel Racing Team presented by Hincapie Sportswear jumped two spots to 13th. 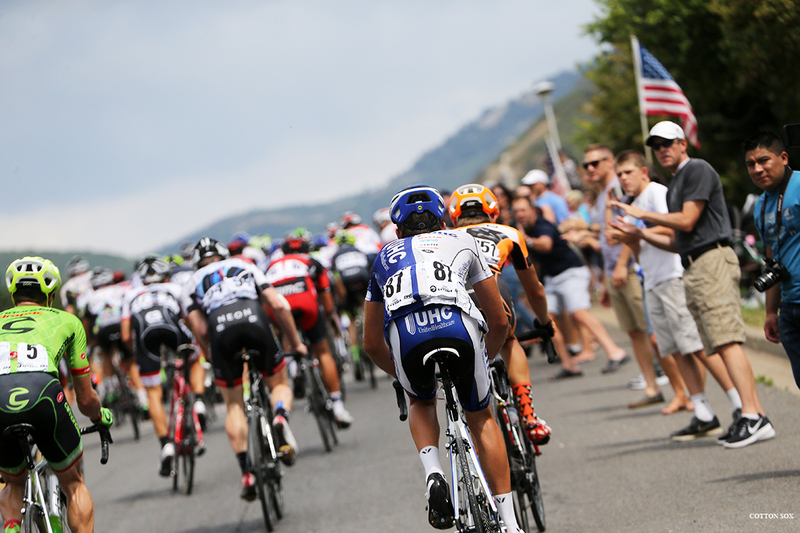 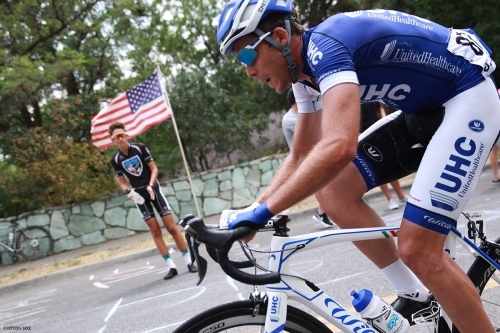 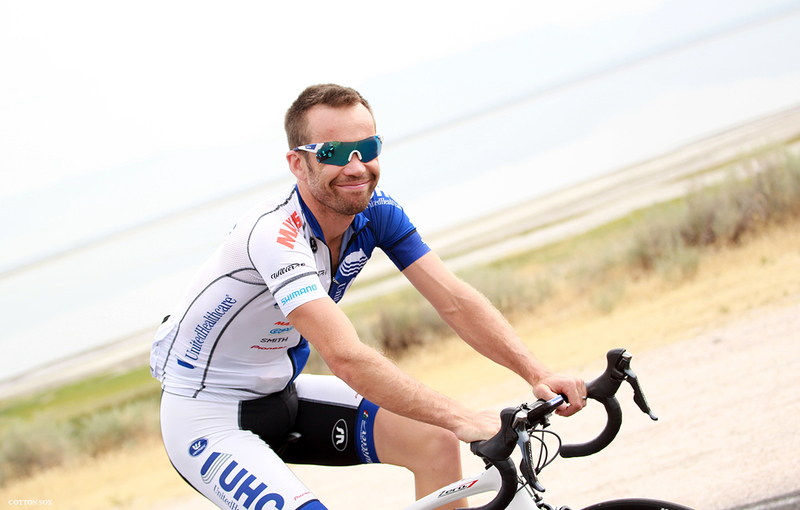 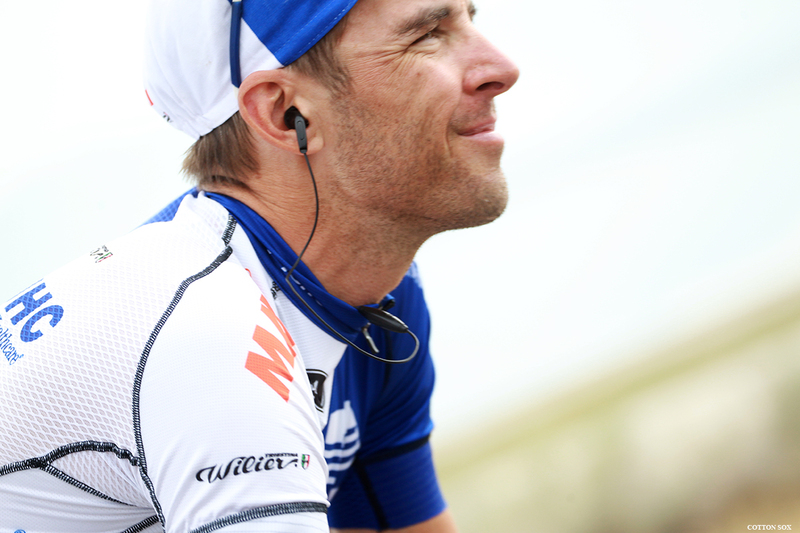 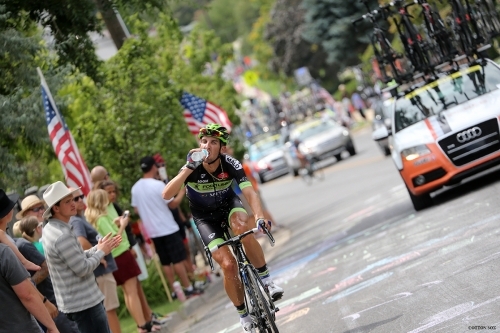 Tanner Putt of UnitedHealthcare Pro Cycling Team is 83rd on G.C. 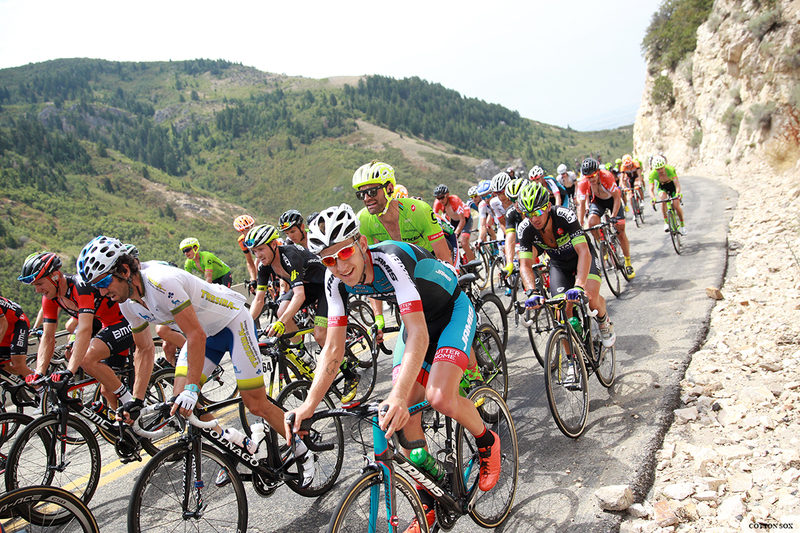 Julien Bernard (France) of Trek-Segafredo attacked the break on the first of two ascents of the Bountiful Bench above the finish line city. 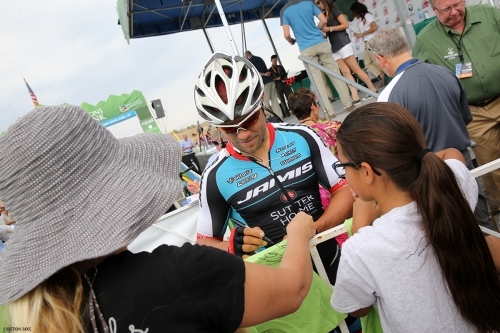 His efforts were awarded later with the Larry H. Miller Dealerships Most Aggressive Rider jersey. 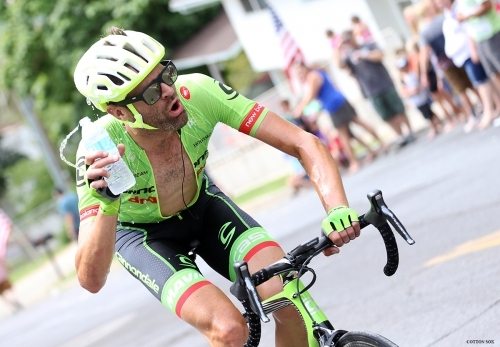 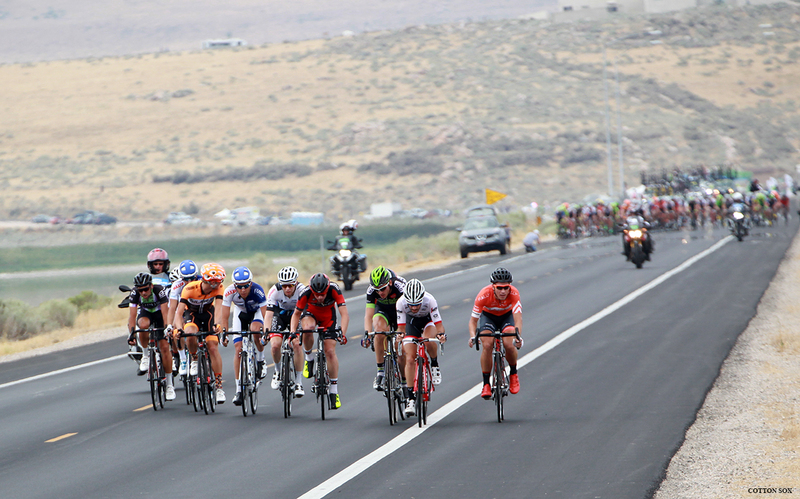 “It was a good day for a breakaway. 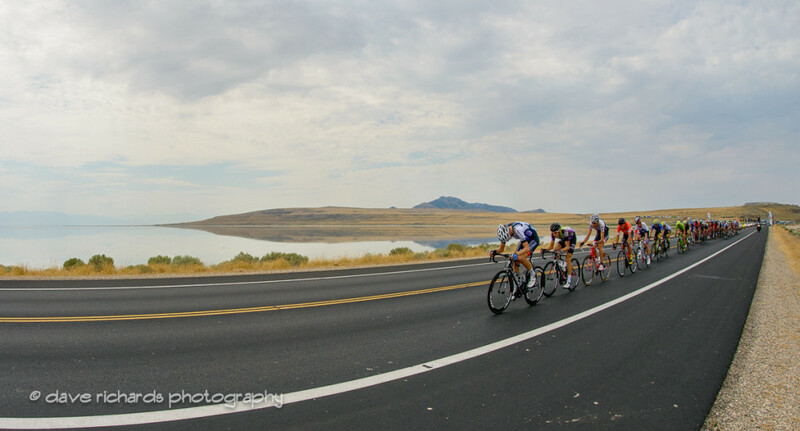 We had a big gap but was losing time. Tried to attack on the climb. 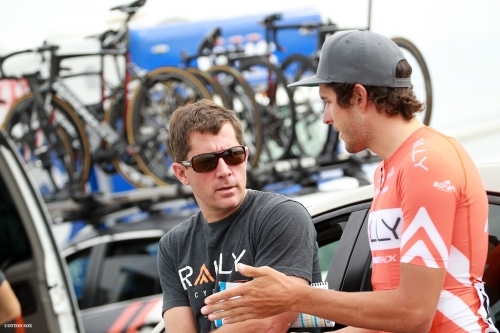 It was not good for me but it was a good day for the team,” Bernard said. 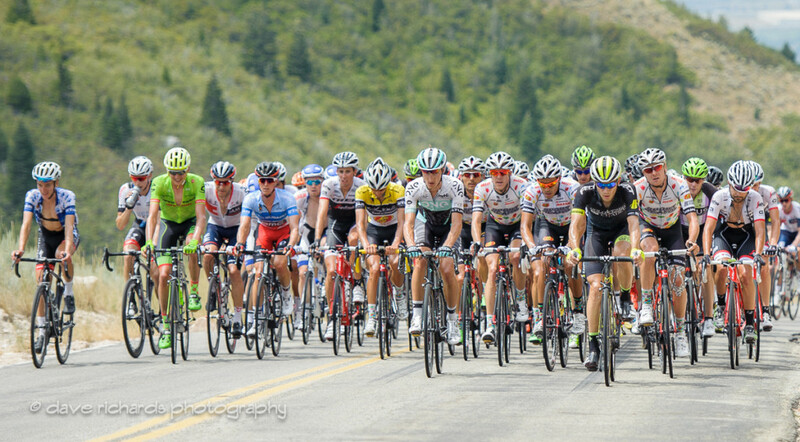 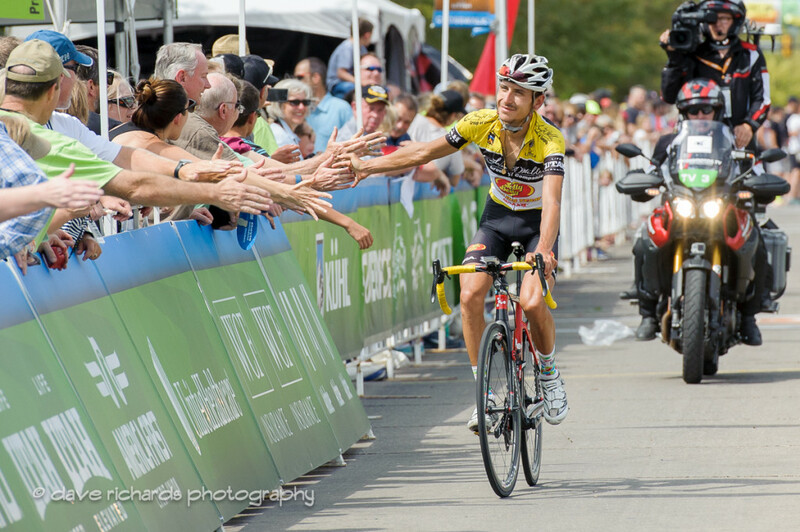 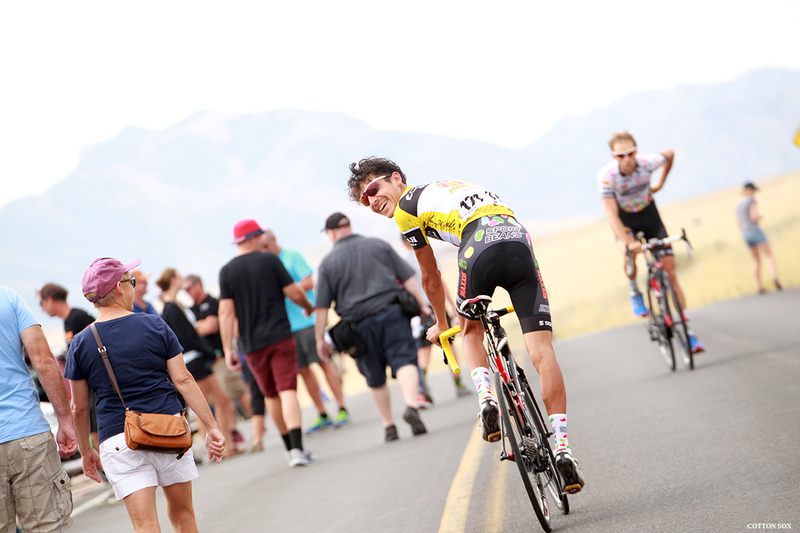 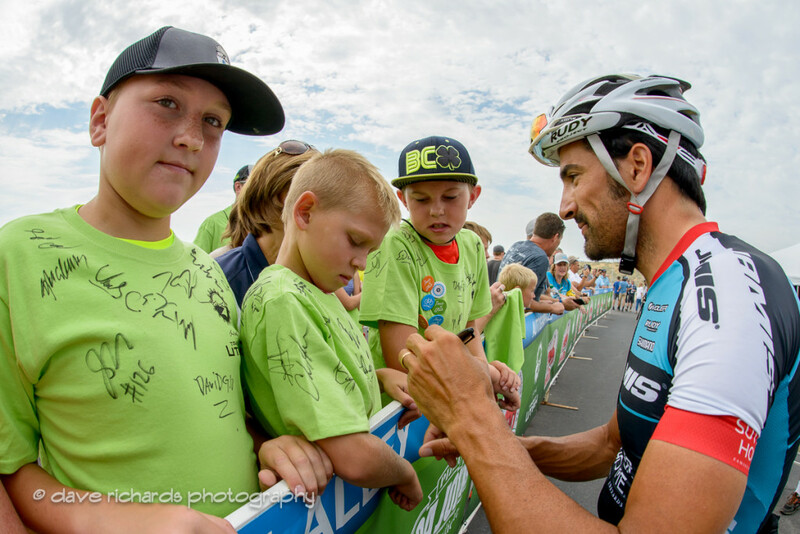 Stage 5 winner Reijnen took over the Utah Sports Commission Sprint jersey. 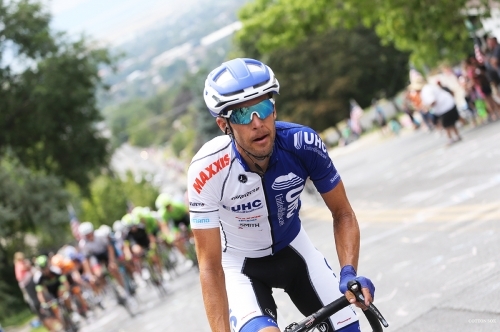 Daniel Jaramillo Diez (Colombia) of UnitedHealthcare Professional Cycling Team moved into the Utah Office of Tourism King of the Mountain jersey. 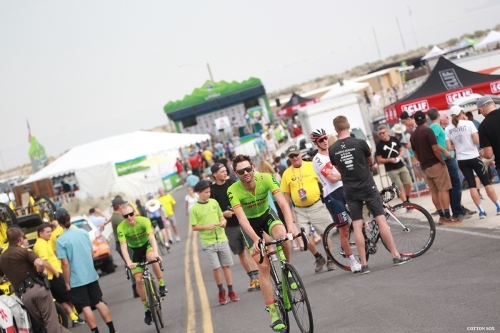 Defending champion Joe Dombrowski (USA) of Cannondale-Drapac Pro Cycling was voted America First Credit Union Fan Favorite in the Tour of Utah Legends category. 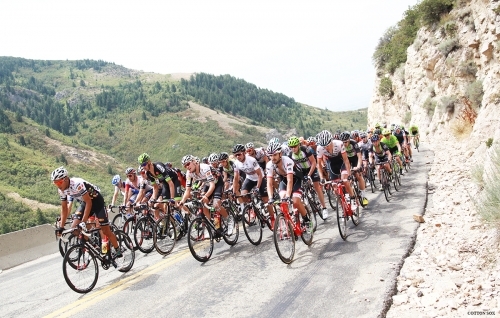 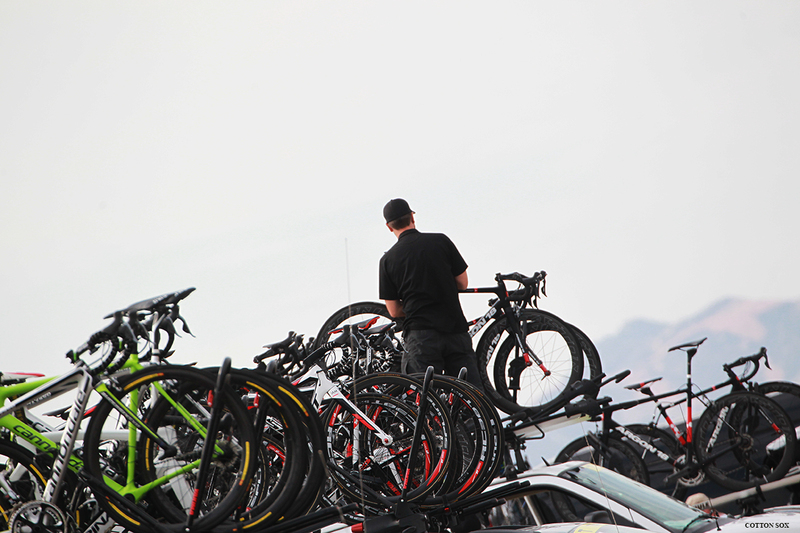 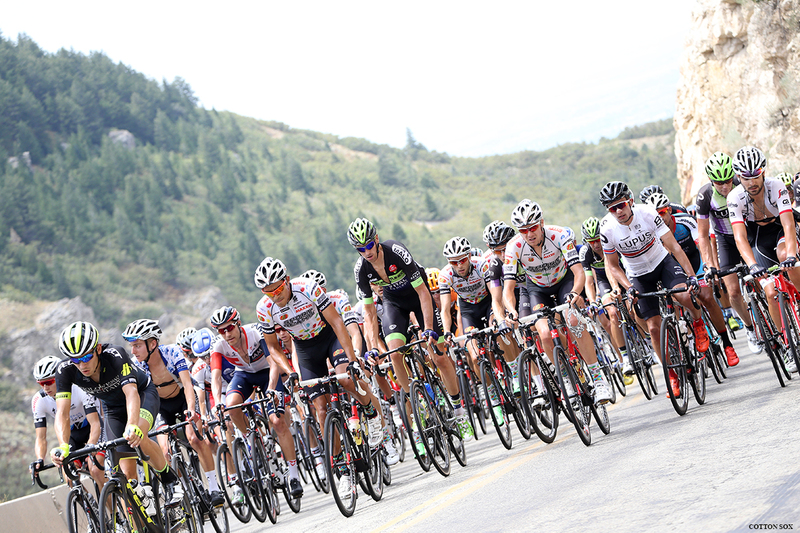 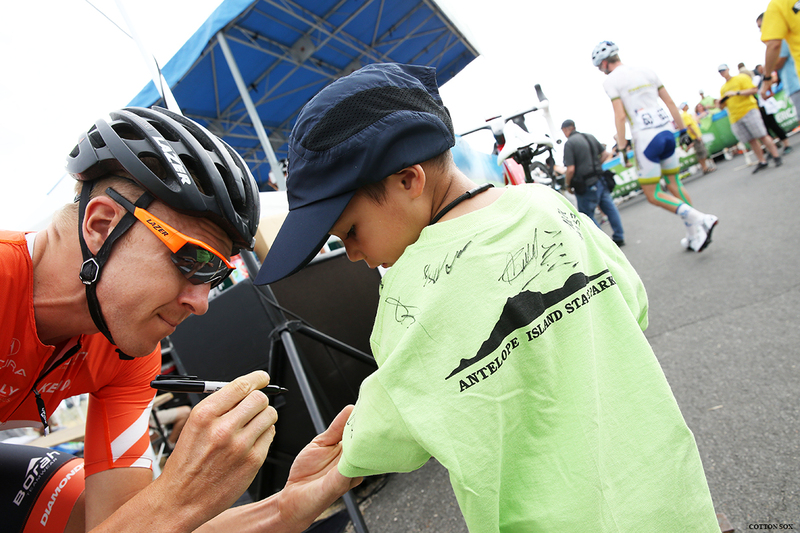 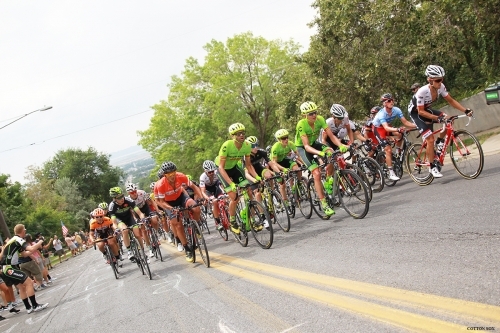 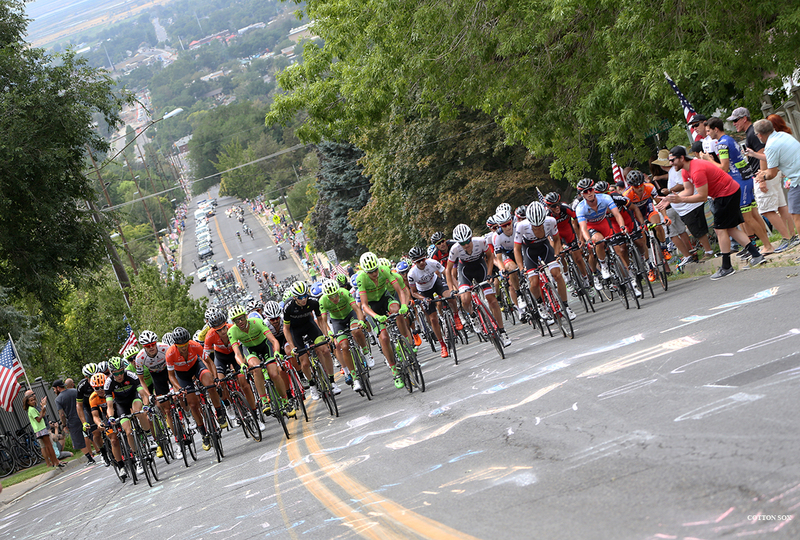 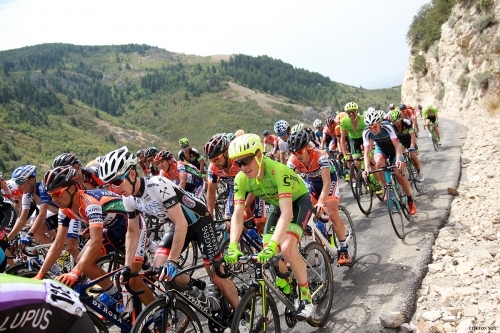 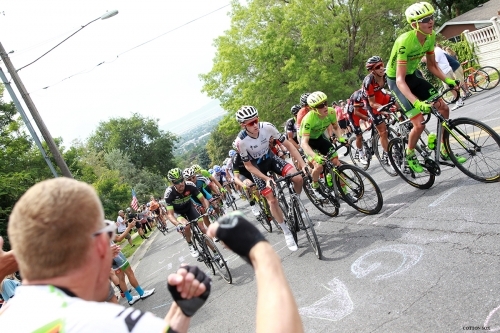 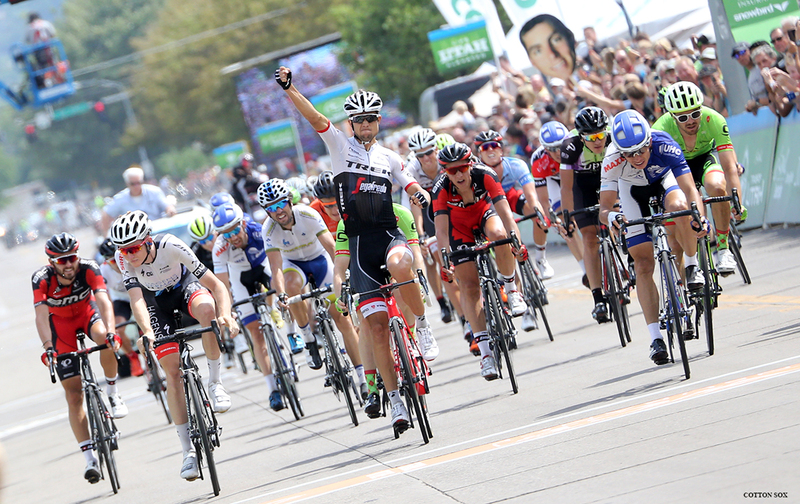 The “Queen Stage” of the Tour of Utah returns for Stage 6 presented by University of Utah Health Care. This epic journey starts at Snowbasin Resort, northeast of Ogden in Weber County. After covering 114 miles (183.4 km) and 11,165 feet of climbing, the race will finish at Snowbird Ski and Summer Resort for a record ninth consecutive year. 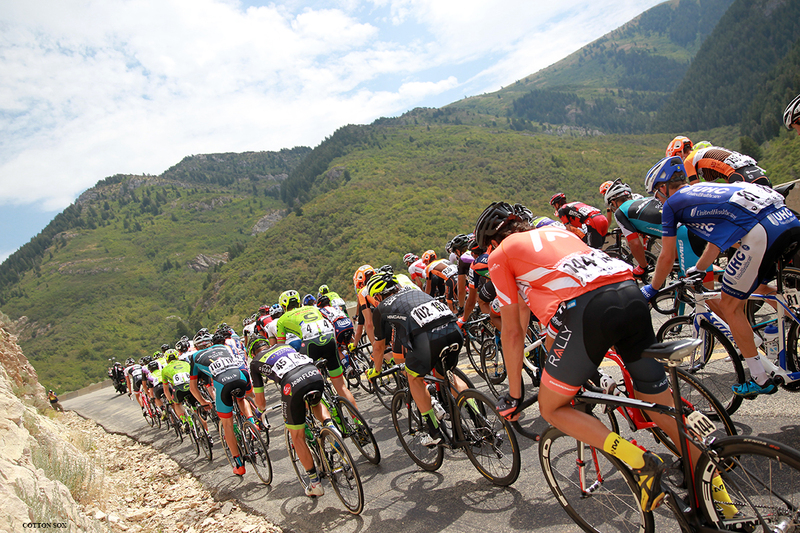 From the Snowbasin Resort, the course rolls through scenic ranch land in the Morgan Valley and through Brown’s Canyon, with Utah Sports Commission Sprint lines in Wanship and Park City. The showdown for the true climbers will begin with an 11-percent gradient, Category 1 climb across Guardsman Pass, high above Park City. This is followed by a 14-mile descent through Big Cottonwood Canyon. 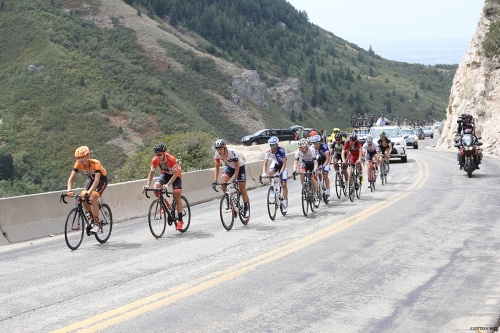 The race concludes with the legendary six-mile Hors Category climb of Little Cottonwood Canyon, passing throngs of fans along Tanners Flat for the finish at Snowbird Resort.